Sai Tso Wan Recreation Ground was commissioned in April 2004. The facility consists of a multi-purpose grass pitch for baseball or football, a children’s playground, a jogging track, changing rooms and a management office. 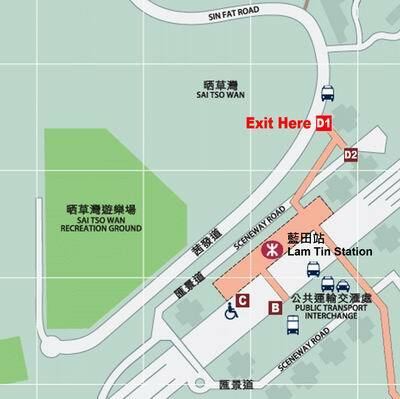 The facility is located only 10 minutes by foot from the nearby Lam Tin Subway station. The Recreation Ground occupies an area of about 3 hectares, which was built on the restored Sai Tso Wan Landfill. The site received approximately 1.6 million tonnes of domestic and commercial waste during 1978 to 1980, and the maximum thickness of waste was about 65 meters. The restoration works installed included a final capping layer, a landfill gas control system and a leachate management system. The purpose of the landfill gas control system is to minimize safety risks and potential pollution. Landfill gas is collected and flared in the on-site flaring plant. The leachate management system is to ensure proper handling and treatment of the leachate generated from waste. The leachate is collected and treated in a leachate treatment plant at Jordan Valley Landfill. Monitoring wells have been installed at the landfill perimeter to monitor the environmental performance of the landfill. The facility is now safe for public use. 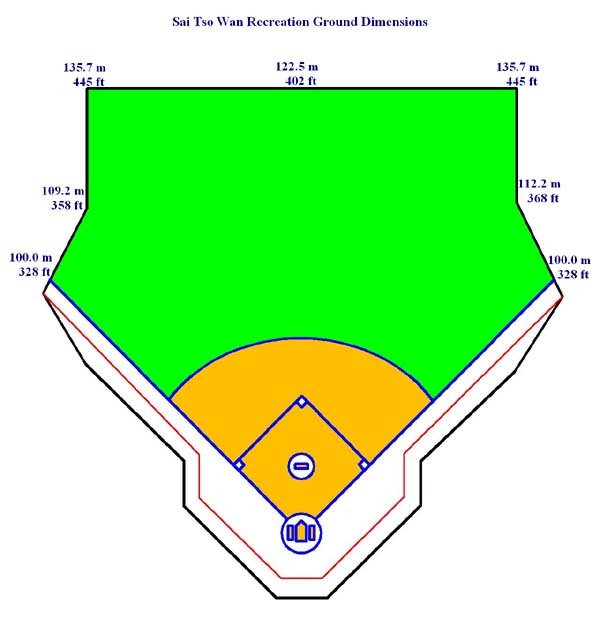 This new Recreation Ground is perfect for the training of our Hong Kong Baseball athletes, hailed as the best baseball training ground in Hong Kong. Electricity generated by wind can either be used directly or stored in batteries for future use. In this recreation ground, the electricity generated from wind turbine is used for street lighting. Solar panels absorb sunlight and convert it into electric power. Here the electricity generated from solar panels is stored in batteries, and used in the fluorescent lights in the reception area and fans in the store room. In this recreation ground, surface water collected from surface drainage system is recycled and used for irrigation purposes. Rubbersoil is a new lightweight and porous construction material produced from rubber chips derived from waste rubber tyres and cementitious materials. In this recreation ground, rubbersoil is used as sub-base material underneath the paving blocks. Paving blocks made from construction waste and waste glass are used on footpaths of this facility. Safety mats used in the children’s play area and jogging track of this facility are made from rubber chips derived from used tyres. The main difference between this recreation ground and others is that it is built on a restored landfill site. In order to appreciate this unique characteristic, an outdoor sculpture and an Environmental Gallery were built on the recreation ground. The outdoor sculpture symbolizes the importance of sustainable waste management. The three arrows remind the public of the importance to reduce, reuse and recycle (avoid, minimize, and recycle). While the last arrow is in green, which symbolizes that we are stepping towards a “Green” environment. The Environmental Gallery displays the development of the Sai Tso Wan Recreation Ground, the waste arising trend, as well as future solutions to waste problems. There are also 3 renewable energy models and 2 interactive computer games for children.